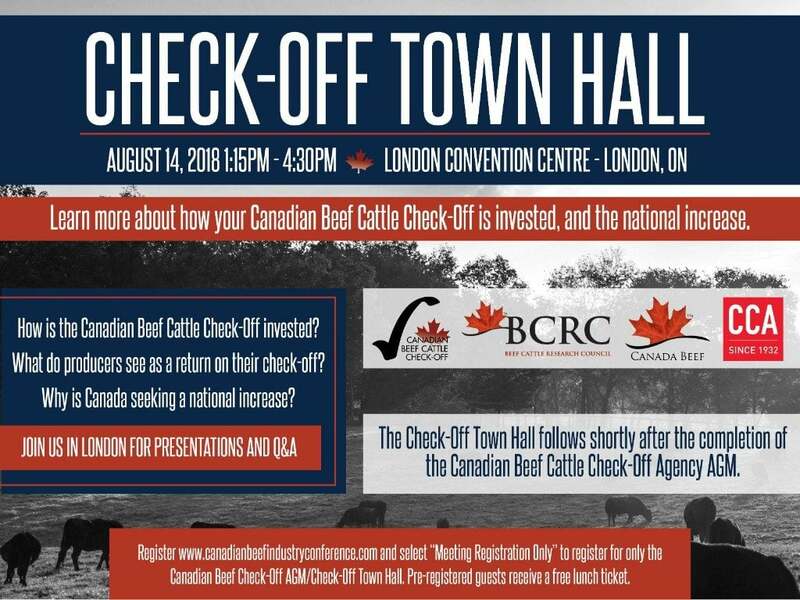 A reminder to those who live in Ontario, or those who will be traveling to London, ON for the Canadian Beef Industry Conference in August, that we will be hosting the Canadian Beef Check-Off Agency Annual General Meeting in conjunction with CBIC this year, on August 14, 2018. The business portion of the meeting will be held in the morning beginning at 8am and conclude in time for lunch. Following lunch will be a Check-Off Town Hall, where producers and industry stakeholders from accross the country can engage directly with the staff and organizations who invest their check-off dollars. Be sure to mark your calendars, and join the Facebook event to stay up to date. REGISTER HERE.